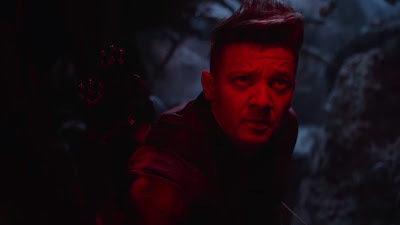 My hope that we don't see any more trailers for Avengers: Endgame was at least partially fulfilled by tonight's brief teaser released during the big game. Sure, there's new footage in here and it looks sorta like a post-apocalyptic horror movie with superheroes, which is kinda cool I must add, but nothing spoilery is in this at all. Hopefully that continues all the way up to the movie's release. The 30-second spot shows what appears to be a ghost planet left in the wake of Thanos' actions in Avengers: Infinity War. There's even an empty stadium, and I'm guessing it's not because of yet another Patriots Super Bowl appearance, although that can't be ruled out. Marvel isn't showing any of the "dead" heroes in any of the footage, so far anyway, and again I want that trend to keep going.